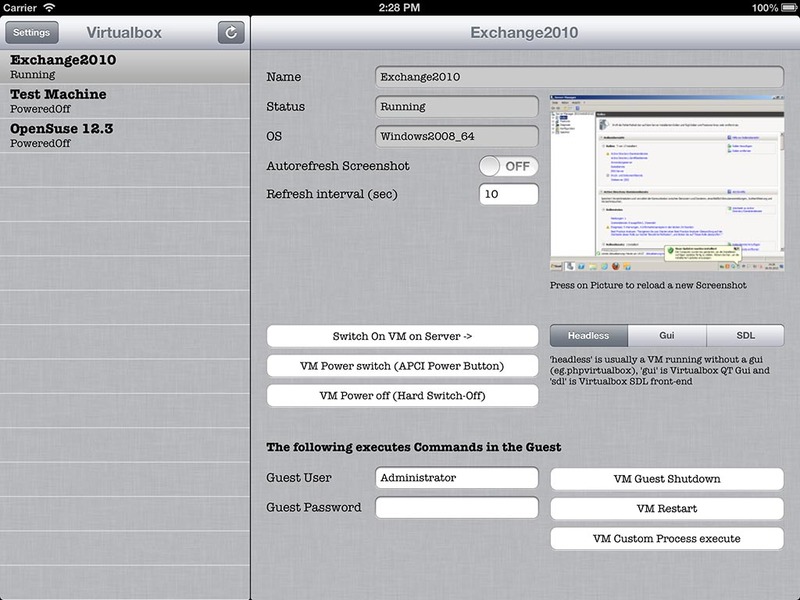 With iVirtualbox you can handle some aspects of your Virtual Machines running in Oracle Open Source product Virtualbox. If you run a headless server with phpvirtualbox or similar, the webservice is usually already configured and running. The app does not include a RDP or VNC Remote Control client, but if you have one installed, which supports URL Handling – you could start a RDP Session to the specified Host (Currently supported: Jump RDP, Remoter RDP, 2x RDP, iTeleport RDP). If you want a special feature in the next release – just let me know and I will do my best to include it.